Our Annual Wine Raffle is now underway. 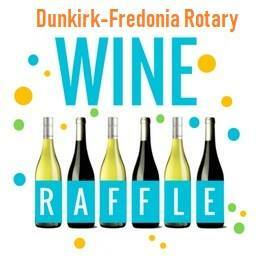 A $5.00 ticket lets you have the chance of winning 35, 25 or 10 bottles of assorted wine. Get your ticket from your favorite Rotarian! Winners will be announced on our facebook page following the drawing (2nd week of November).